Historically, North Carolina has been recognized as a gun friendly state. Our state laws are designed to allow citizens the right of gun ownership for hunting, target shooting, personal and home defense. However, many North Carolinian’s are not allowed to own or possess firearms due to a previous felony conviction. This can cause duress to these individuals for a variety of reasons. At Kirk, Kirk, Howell, Cutler & Thomas, we are often contacted by people with felony convictions requesting legal support to have their citizenship rights restored in order to own a firearm. How Does a North Carolina Citizen Lose a Right to Gun Ownership? Anyone convicted of a felony offense will automatically lose the right to gun ownership or the right to bear arms. This is the case even if the conviction was for a non-violent felony offense. Can You Have Your Gun Rights Restored in North Carolina? North Carolina residents convicted of non-violent felonies have the opportunity to have their gun rights restored as long as they lawfully meet certain criteria. The NC statute, G.S. 14-45.4 defines what criteria a resident of North Carolina must meet to have gun rights returned. This legislation can be very difficult to interpret, and seeking the counsel of an experienced Raleigh attorney to determine eligibility is recommended. *note – determining your wait period, the time starts running from the date your period of probation or jail sentenced is terminated. Is There Another Option to Have Rights Restored? If you do not qualify for restoration through expungement or the 20 year term, you may have other legal channels to pursue. Ultimately, the process is expensive and time consuming. Your Raleigh attorney may advise you to seek a civil suit versus the State. If the case can be proven that your rights were removed unconstitutionally, then there may be an opportunity for restitution. 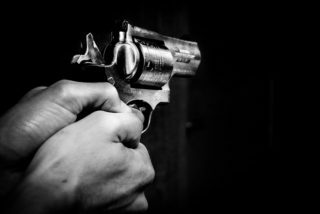 Our Raleigh lawyers understand the importance of gun ownership. Most residents of Raleigh and North Carolina enjoy hunting and even simply collecting rare firearms, but they cannot lawfully own or possess the gun. We believe that anyone convicted of a felony offense, after they have paid their debt to society, should receive a fair opportunity at a clean slate for the right to bear arms. If you have been convicted of a felony, but are eligible based on the NC statute to receive a restoration of rights, give our Raleigh attorney’s a call. We have provided extensive representation to many North Carolina residents over the years and are ready to help you. Call 919-615-2473 or complete the online contact form to speak with an attorney about your gun rights.